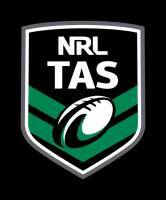 The Tasmanian Rugby League enters their fifth season kicking off on Saturday 2nd November with a double header in Hobart. This will be the most interesting season to date with the inclusion of the North West Coast Titans and expected improvement with the South Hobart Storm, previously the Eastern Shore Thunder. In the past every club was ensured a semi final spot with only four teams competing, but this season, with the comp increasing to five, it will be a battle to make the top four. There will also be at least 3 under 18's teams as well as 2 Womens teams and the TRL are also working on mini/mod age groups. So what are the clubs chances this year? The Tigers enter their first season under new coaches Sunia Ma'afu and Colin Fielea and are expected to retain the majority of their successful Premiership side, so they will once again be one of the teams to beat. They have the experience and their biggest concern will be in the earlier rounds after the majority of the team played in a tough Rugby Union Semi final series. But expect an improvement during the later part of the season. The club has competed in 3 of the 4 Grand finals only to lose all three. They will be hungry for success this season. They have retained most of last seasons players with some new experienced additions to the club. They will be favourites to win this years competition. The club usually starts off slowly and produces their best form toward the end of the year, but need to be careful they don’t leave it to late and miss out all together. The Warriors enter their second season after falling at the end of last year, losing only one competition game to the Tigers in the final round. The club where minor Premiers and would have learnt a valuable lesson from that experience. If they can maintain the majority of their players from last season, with the added experience, they could surprise. Only time will tell. The new addition to the competition. Based in Burnie, the Titans enter this season as unknowns. They have great numbers registered and will find it a challenge keeping everyone happy during the year. No one will really know until the season kicks off, but they certainly cant be written off. The Storm enter this season with a new name (Formally Eastern Shore Thunder) a new coach in ex Tigers coach Mick Hunt. Great sponsors in the Soho Hotel and McDonalds North Hobart. So off the field they are looking good, but what are their chances on the field? The club has no expectations and if they can improve, their season will be a success. If they do start off well, it will build confidence and who knows what can happen.